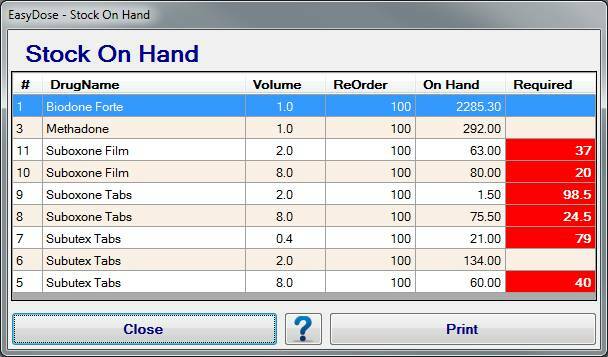 20EasyDose allows imprest re-order levels to be established for stock and when launching the program the Stock On Hand summary is displayed and can be optionally printed. 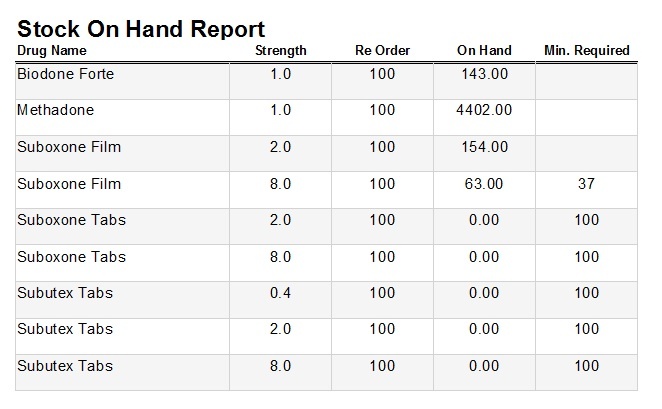 This form is Read Only and allows the user to view the stock on hand. It is displayed whenever EasyDose is started and can be accessed from the Stock drop down menus from the main page. Note: Re-order levels are set in Maintenance / Drug Type Screens.